Schiff Move Free Double Strength Review | Does It Work? Schiff Move Free Double Strength Review – Is This Product Safe To Use? 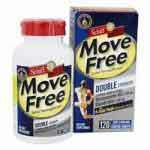 Schiff Move Free Double Strength is a dietary supplement that is touted to strengthen joints and promote joint lubrication. According to the manufacturer, Schiff Move Free Double Strength is made using all natural ingredients that have been proven safe and effective in the fight against joint complications. On top of strengthening joints and muscles, Schiff Move Free Double Strength is touted to promote anti-oxidation and anti-inflammation which are considered as one of the most notorious causes of joint complications and pain. Schiff Move Free Double Strength is available over the counter without a prescription. This means that you can order it online. Schiff Move Free Double Strength is a premium dietary supplement that is sold in order to improve the livelihood of people who lead an active lifestyle. The product is touted to improve livelihood by nourishing the body and equipping it with the necessary nutrients needed to take care of the joints. According to information on the product label and on the official website, Schiff Move Free Double Strength is manufactured by Schiff Company. All the same, it is produced under the brand name Move Free but the parent company still goes by the name Schiff Company. Chondroitin of 1200mg – More often than not, Chondroitin is used hand in hand with glucosamine. This ingredient is highly hygroscopic and attracts moisture into the joint areas. Modern research also hints that this ingredient is a major building block that comes in handy in the repair of worn out tissues and broken bones. It may increase joint strength. It may increase mobility & flexibility. It is made using all natural glucosamine and chondroitin. These are highly researched ingredients that you can take knowing they are safe and effective. The product is available over the counter without a prescription. Even at that exorbitant price, it doesn’t have a money back guarantee. What is the recommended dosage of taking Schiff Move Free Double Strength? You should take no more than four capsules of Schiff Move Free Double Strength. When you first start taking the product, you can take four capsules in two separate servings, say morning and evening. After the first two weeks, you can reduce this dosage to three or two depending on the extent of the injury or joint condition. Are there any side effects associated with Schiff Move Free Double Strength? There are no side effects associated with the use of Schiff Move Free Double Strength. Perhaps this is because the producers have used only natural ingredients. All the same, you should be very careful when using this product especially if you are allergic to any of the ingredients used. People who are allergic to shellfish should avoid taking this product. In case you get undesirable side effects, discontinue the use of this product and immediately seek attention from your caregiver. The Schiff Move Free Double Strength is a product from a very reputable company. It brings everything under one cap and promises to give your joints a lifeline. This notwithstanding, the pricing of the product is quite a heartbreaker to many. We have reviewed several products that are a fraction of the cost but have the same benefits as Schiff Move Free Double Strength.